Digi-numen.com doesn't see your credit card number (it is safely encrypted through PayPal's server), which limits the risk of unauthorized use. 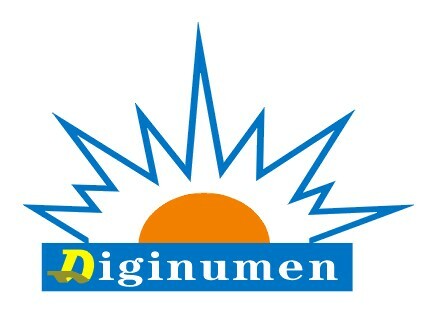 Note:Please email your order number, amount, sender's first and last name, sender's country, sender's phone number and transaction ID to sales@diginumen.com after you send payment through bank transfer(T/T). 2. Why can’t I find my order in my account? Answer: Because you place the order by Paypal express check (the quick payment of Paypal), rather than log in your account of digi-numen.com. So Digi-numen cannot keep your order in your account. It is recommended that you place the order after log in. Answer: Yes, sure, it’s OK. You can just choose to pay by Paypal, then click “place an order” button and there will be a webpage for you to enter your credit card information. 4. Why the amount you received is less than what I paid in Bank? Answer: Besides transaction fee in the bank you make transfer, also, there may be some third party Bank charging you in the process. That's because, if the bank in which you make payment has no business relationship with our bank, then payment may be sent to a third party bank first, and then send to our bank. If that happens, the third party will charge the transaction fee from the payment, so the payment time will be longer and the amount we receive will be less than the amount you pay. 5. Does Local Bank Transfer (America TT, Japan TT, Russia TT, Indonesia TT) each accept USD, JPY, RUB（Russian Ruble), IDR（Indonesian Rupiah）? Answer: Yes, also Local Bank Transfer accept any currency, when you transfer to us, other currency will be exchanged to the local currency automatically.